The Finwing Peguin V2 KIT is supplied as an air frame only, also including the related hardware. For recommendations on parts needed to complete the system, please see the recommendations below under the specification. 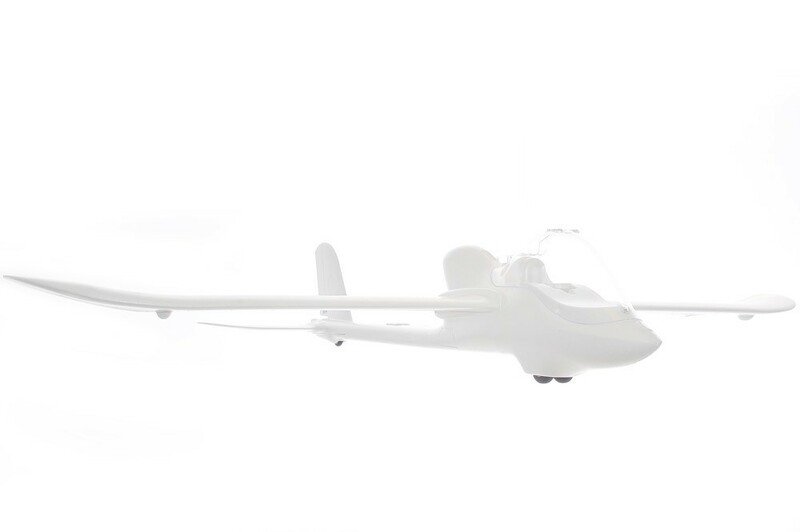 The Penguin is one of Finwing's mid-sized FPV platforms with a 67.7 inch (1720mm) wingspan. Desgined specifically to support a range of FPV hardware, whilst giving maximum flight efficiency with stable and predictable flight characteristics. An ideal model to begin with if your an inexperienced flyer and/or new to the world of FPV flying. 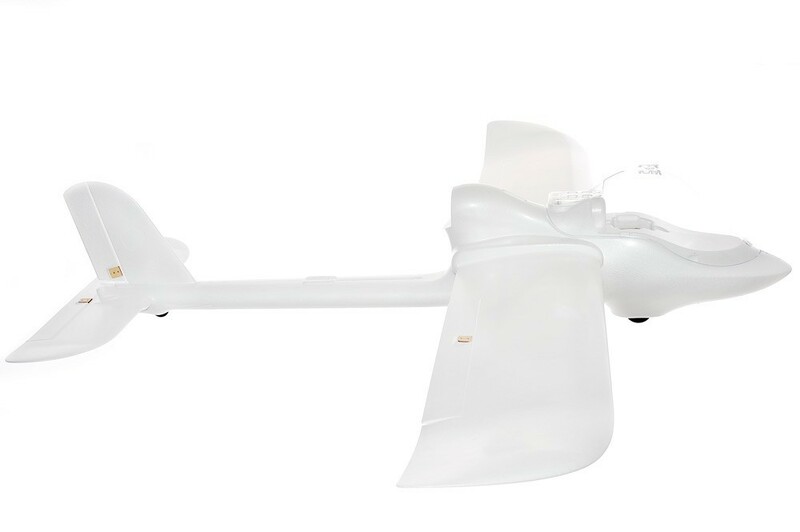 The Penguin has a unique look to it with it's bubble canopy, which offers a great deal of strength and room inside for those who want to fit the Finwing Pan/Tilt Mechanism with either a Go Pro or other style of FPV camera attached. There is also an option to mount a downward facing camera in the fuselage. The model has a two-piece detachable wing and tail, making transportation possible even in the smallest of cars. Two bolts allow removal of the wings and one bolt to remove the tail section. Generally the tail section would be left on even for transport, as we recommend also gluing these sections together as well. Like the Air Titan, the Penguin has a undercarriage fitted but more like what you'd expect to see on a glider. This makes the aircraft more slippery through the air cutting down on drag and weight, whilst also allowing for takeoff's and landings on short grass or tarmac. Alternatively, the model is designed to be hand lauched with ease. You can also buy the Finwing Penguin V2 ARF package, which includes everything needed for basic flight, excluding radio, receiver and lipo battery. For those looking for a larger FPV platform, capable of carrying larger payloads and multiple camera's we suggest the Finwing Air Titan.